شهر قم به‌دلیل موقعیت جغرافیایی و واقع شدن در کویر مرکزی ایران همواره با مشکل کمبود آب روبرو بوده است و در سال‌های اخیر به دلایل مختلف از جملهگسترش شهرنشینی، افزایش مهاجرت و رونق گردشگری، این مشکل تبدیل به بحران شده است. با وجود اقدمات انجام شده به‌منظور پایداری آب شرب از جمله انتقال آب از سر شاخه‌های دز به قمرود، پیش‌بینی‌ها نشان می‌دهد در صورت ادامه وضعیت موجود، در سال 1401، این شهر در شرایط ناپایداری آبی قرار خواهد گرفت. برای رفع این معضل، در این پژوهش با به‌کارگیری پویایی سیستم و استفاده از نرم‌افزار Vensim ، سیاست‌های پایداری آب شرب شهری در یک افق سی ساله شناسایی و ارائه شد. در چنین پژوهش‌هایی، این سیاست‌ها اصولاً در دو بخش ارائه می‌شود: بخش عرضه که عبارت‌است از جداسازی آب شرب از آب غیر شرب، استفاده از پساب یا آب جدید و مدیریت تلفات شبکه آبرسانی؛ و بخش تقاضا که عبارت‌ است از کنترل جمعیت، کنترل الگوی مصارف خانگی و کنترل مصارف معاف از قیمت. اما سیاست تازه و متناسب با این مشکل که در این پژوهش بررسی و پیشنهاد شده است، عبارت‌ است از جداسازی آب شرب از آب بهداشتی و کنترل مصارف کاربری‌های معاف از قیمت و تأثیر آن‌ها بر پایداری آب شرب شهری. Qom city (located in the central desert of Iran) has always faced the problem of water shortage. In recent years, due to various reasons such as urbanization, increased immigration and tourism prosperity, this problem has become a more serious trending water crisis. In spite of the steps taken to maintain the sustainability of potable water, predictions indicated that if the existing situation persists, in 2022 the city will be in a state of unstable water. To overcome this dilemma, this paper aims to identify and present sustainable urban Potable water policies on a thirty-year horizon through system dynamics and the use of Vensim software. These policies are generally presented in two parts: Supply and Demand. The supply policies include separation of potable water from non potable water, using fresh water or wastewater, and managing the water supply losses. In demand management, the policies are to control the population, control the pattern of domestic demand, and control the Exempt Demand. The new policy investigated and proposed by this research which is proportional to the problem was the separation of potable water from non potable water and control the exempt demands over time and their impact on the sustainability of urban potable water. Acheampong, E. N., Swilling, M. & Urama, K. 2016. Sustainable urban water system transitions through management reforms in Ghana. Water Resources Management, 30, 1835-1849. Bagheri, A., Darijani, M., Asgary, A. & Morid, S. 2010. Crisis in urban water systems during the reconstruction Period: A system dynamics analysis of alternative policies after the 2003 earthquake in bam-iran. Water Resources Management, 24, 2567-2596. Bagheri, A. & Hjorth, P. 2007. A framework for process indicators to monitor for sustainable development: practice to an urban water system. Environment, Development and Sustainability, 9, 143-161. Clifford Holmes, J. K., Slinger, J. H., Musango, J. K., Brent, A. C. & Palmer, C. G. 2014. Using system dynamics to explore the water supply and demand dilemmas of a small south african municipality. 32nd International Conference of the System Dynamics Society, Delft, The Netherlands, 20-24 July 2014; Authors version, System Dynamics Society, Netherlands. Fartookzadeh, H. R., Ghojavand, S. & Nohooji, M. R. 2015, "Dynamic modeling of Tehran's water system for effective management", Bimonthly Journal of Water and Wastewater, 26, 23-36. Forrester, J. W. 1997. Industrial dynamics. Journal of the Operational Research Society, 48, 1037-1041. Ghadiri, M. 2007. Vulnerability to crisis, the problem of the community or to society? Case study Tehran Metropolis, 2nd Internatioanl conf. on Integrated Natural Disaster, Tehran, Iran. Gleick, P. H. 1996. Basic water requirements for human activities: Meeting basic needs. Water International, 21, 83-92. Loubet, P., Roux, P., Guerin-schneider, L. & Bellon-maurel, V. 2016. Life cycle assessment of forecasting scenarios for urban water management: A first implementation of the WaLA model on Paris suburban area. Water Research, 90, 128-40. Madani, K. & Mariño, M. A. 2009. System dynamics analysis for managing iran’s Zayandeh-Rud River basin. Water Resources Management, 23, 2163-2187. Qi, C. & Chang, N. B. 2011. System dynamics modeling for municipal water demand estimation in an urban region under uncertain economic impacts. Journal of Environmental Management, 92, 1628-41. QRWA. 2015. 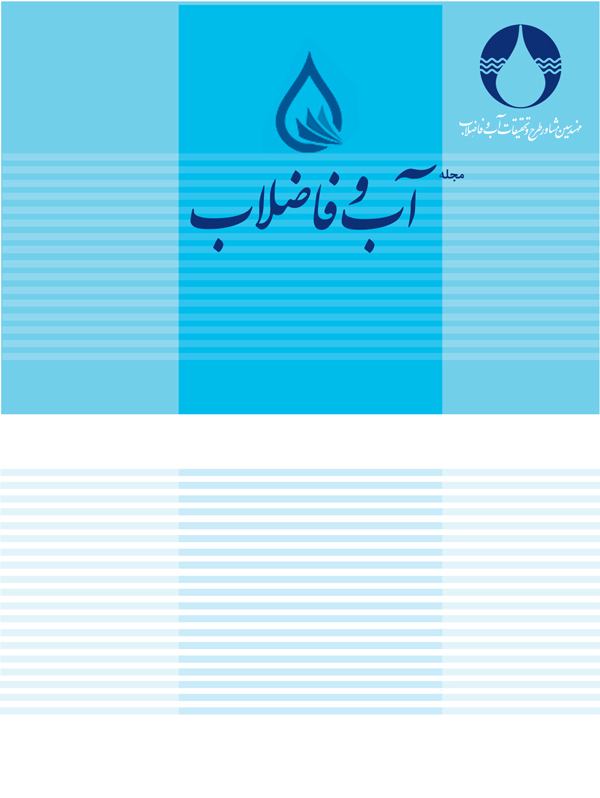 Report Qom Regional water Authority [Online]. <http://www.qmrw.i/.>(July 2017). Statistical Center of Iran. 2016. Population <https://www.amar.org.ir>. Sterman, J. D. 2000. Business dynamics: Systems thinking and modeling for a complex world, McGraw- Hill Education. N.Y.
Sun, Y., Liu, N., Shang, J. & Zhang, J. 2017. Sustainable utilization of water resources in China: A system dynamics model. Journal of Cleaner Production, 142, 613-625. Wei, T., Lou, I., Yang, Z. & LI, Y. 2016. A system dynamics urban water management model for Macau", China. Journal of Environmental Sciences, 50, 117-126. Xi, X. & Poh, K. L. 2013. Using system dynamics for sustainable water resources management in Singapore. Procedia Computer Science, 16, 157-166. Yang, J., Lei, K., Khu, S. & Meng, W. 2015. Assessment of water resources carrying capacity for sustainable development based on a system dynamics model: A case study of Tieling City, China. Water Resources Management, 29, 885-899. Zarghami, M. & Akbariyeh, S. 2012. System dynamics modeling for complex urban water systems: Application to the city of Tabriz, Iran. Resources, Conservation and Recycling, 60, 99-106.